Long Table. Photo by David Arias. Odd Society. Photo by R.D. Cane. 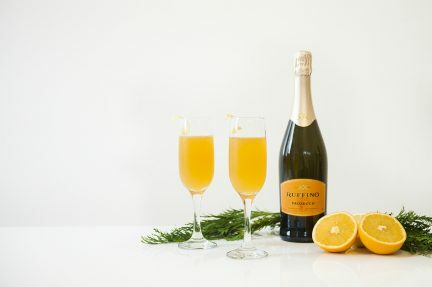 Brilliantly coral-coloured, in a wine glass of ice topped with Prosecco and sparkling water, the orange-wheel-tipped Aperol spritz—the chic Italian cousin to the stodgy wine spritzer—was the “It” drink of 2017. 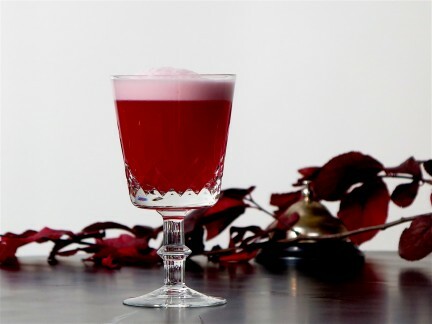 Rhubarb-infused Aperol, aperitifs like Campari and Lillet, and bartender-favourite digestifs like Fernet Branca are bittersweet enough to create mouthwatering pre-dinner drinks, with enough stomach-calming herbs to also soothe after a big meal. 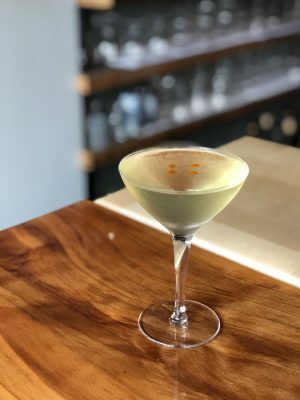 While bittered pours can include spirits, liqueurs, or even vermouths infused with citrus peel, seeds, barks, herbs, flowers, and spices or botanicals, let’s agree here to call them all amari. Travelling overseas, I’ve long scoured dusty shelves for obscure bottles of what one young bartender called “old man drinks”—today, amari (plural for amaro, the Italian word for bitter) are having a renaissance. Conditioned by black coffee, tannic tea, and foods like arugula and Brussels sprouts, our palates are newly tuned to the bitter flavours that Europeans have long treasured in amari sipped straight up, over ice, or with mix. Small-batch B.C. distillers are making the genre their own, with new local bottlings and distinct regional flavours. “How are you making a craft cocktail that’s unique and different if you’re using the same global brands everybody is using?” asks Adam McDonnell, managing director of Goodridge & Williams distillery, off Delta’s River Road. 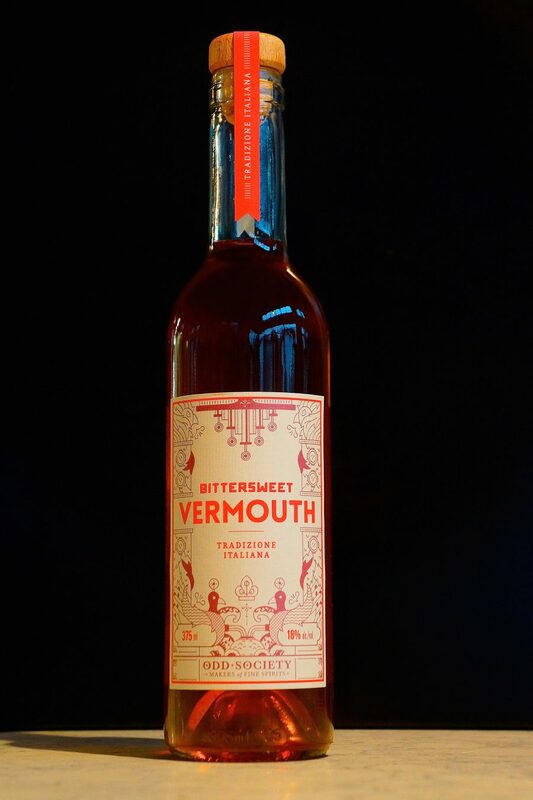 Goodridge & Williams’s Bitterhouse aperitifs give us options: Rubato is Campari-like, LaDame rivals Aperol, and DaMan is a juicy burst of grapefruit. 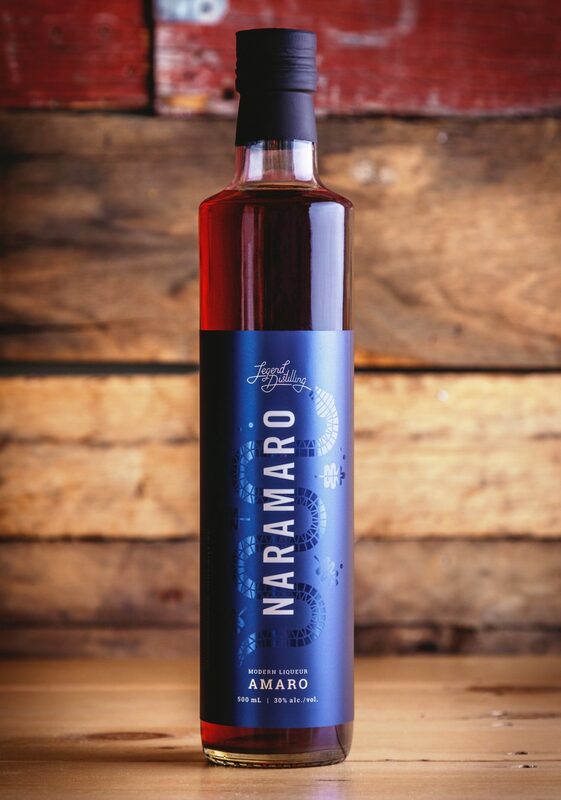 B.C.’s first amaro came from Long Table, Vancouver’s original micro-distillery. 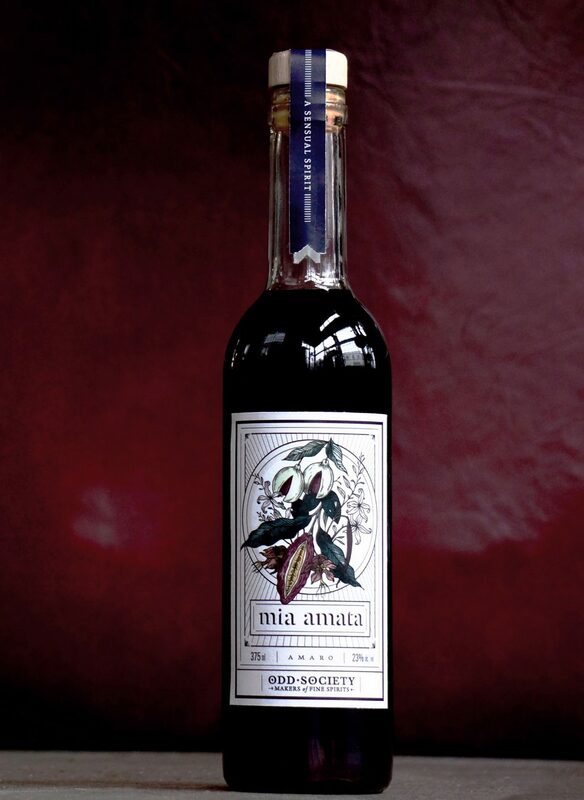 Founder Charles Tremewen collaborated with Cole Benoit of the Apothecary Bitters to blend the nearly 30 botanicals that give Amaro No. 1 Linnaeus (named for the Swedish botanist) its citrus and spice flavour. Doug and Dawn Lennie, co-owners of Legend Distilling in the Southeast Okanagan’s Naramata, collaborated with Victoria-based bartender Shawn Soole to create their bitter spirit, called Naramaro. “We tasted dozens of amari and really enjoyed a couple from the South of France, Amer Picon in particular,” says Dawn of the zesty orange classic. For their amaro, they used regional ingredients like Oregon grape root and sour cherry to complement house-made vanilla extract. “You’ll have to guess the rest,” Dawn says cheekily of Naramaro’s other complex flavours. 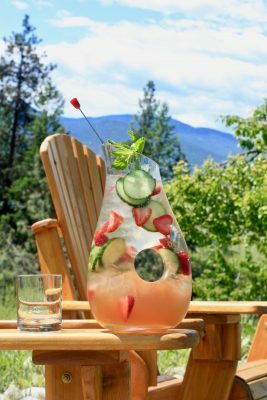 Mixing it with gin and soda over lemon, cucumber, and strawberries will make you forget about classic U.K. aperitif Pimm’s Cup. De Vine winemaker and distiller Ken Winchester agrees. “Our wines and spirits are all about terroir, which I describe as the ‘somewhereness,’” he says. 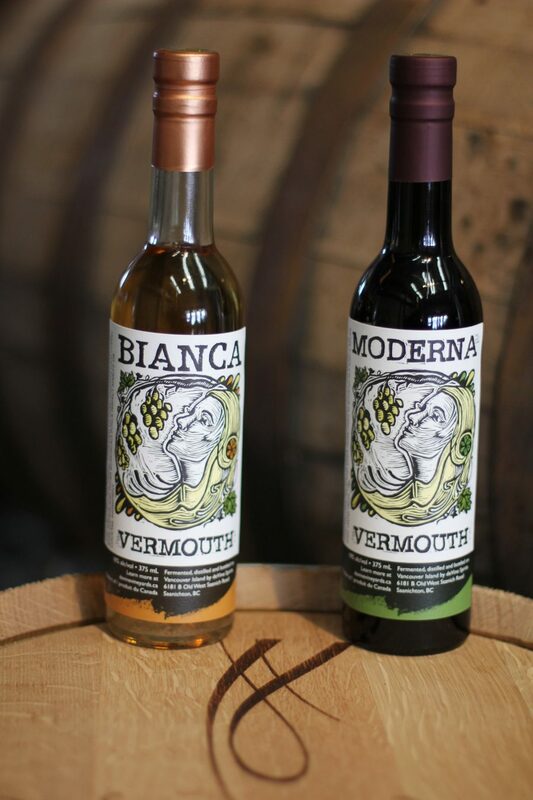 Winchester uses De Vine grapes to make a spirit base for two vermouths: the lovely Bianca white, as well as the darkly complex Moderna. He utilizes many of De Vine’s botanicals, from spruce tips to lavender, harvested right on the hilltop Saanich property. 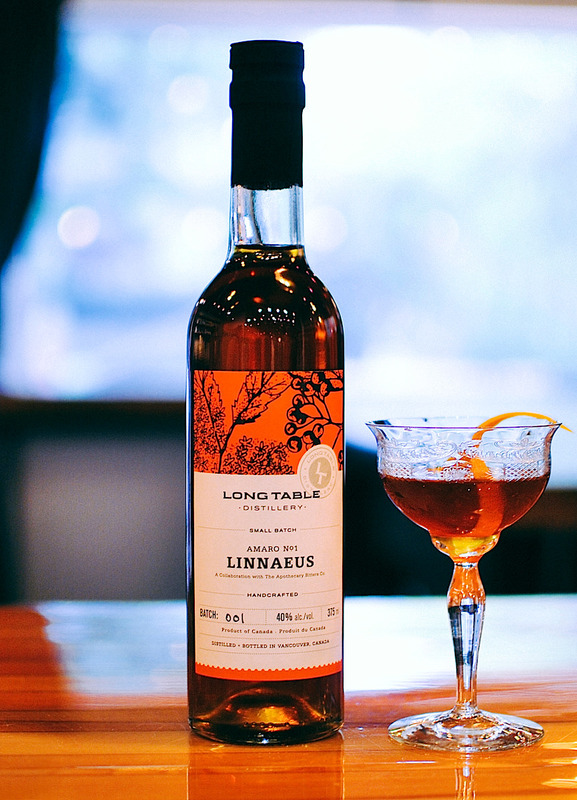 At The Woods Spirit Co. in North Vancouver, founders Fabio Martini and Joel Myers also went the local route, creating a uniquely Pacific Northwest Amaro that injects Italian tradition with coastal mountain ingredients like grand fir. I recently listened to a mixologist at hip Seattle amari bar Barnacle tell me that The Woods Spirit’s delicious light-bodied amaro outshines Campari in a Negroni. Clearly, B.C. amari are earning a well-earned reputation outside their own borders.